Next All Good Things Must End My Friends. How fun. Is the middle one a rabbit or a squirrel? Have a wonderful weekend, my friend. A rabbit! Not what I intended to shoot but the moment I saw that photo, I loved it! Thanks for stopping by. Stay cool if you can. 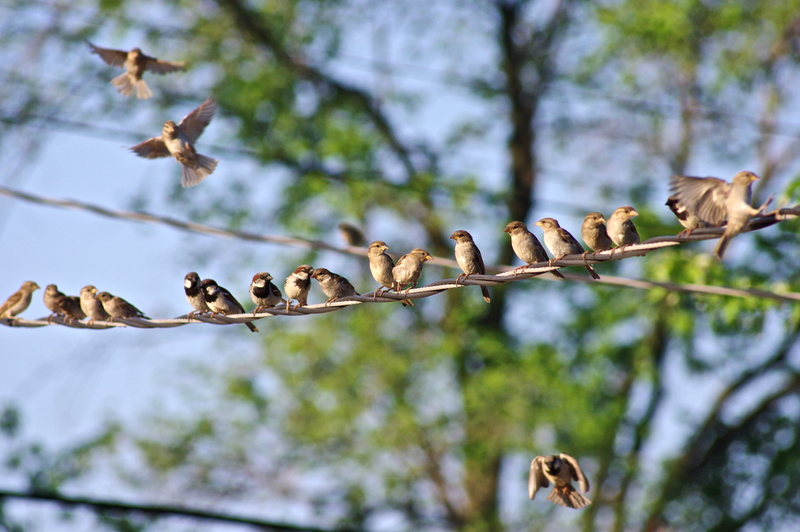 I love the sparrow convention on the line. 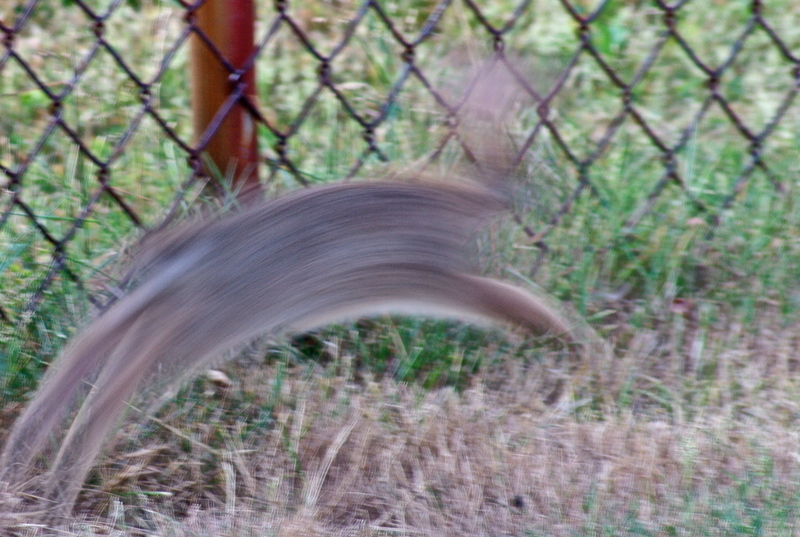 The bunny was in a hurry! lol Great shots. Nature is always on the go. Love the birds on the wire and the rabbit photo is very cool! Gotta love the cardinal, I am from St. Louis, Missouri! Yes, the birds on the line was unusual. I think they were waiting for me to go inside so they could swarm the bird feeder without fear of what I might do. And my parents are Louisville Cardinal fans. 🙂 Thanks for stopping by. I love the birds in the top photo. I love how crisply in-focus they are in comparison with the background. 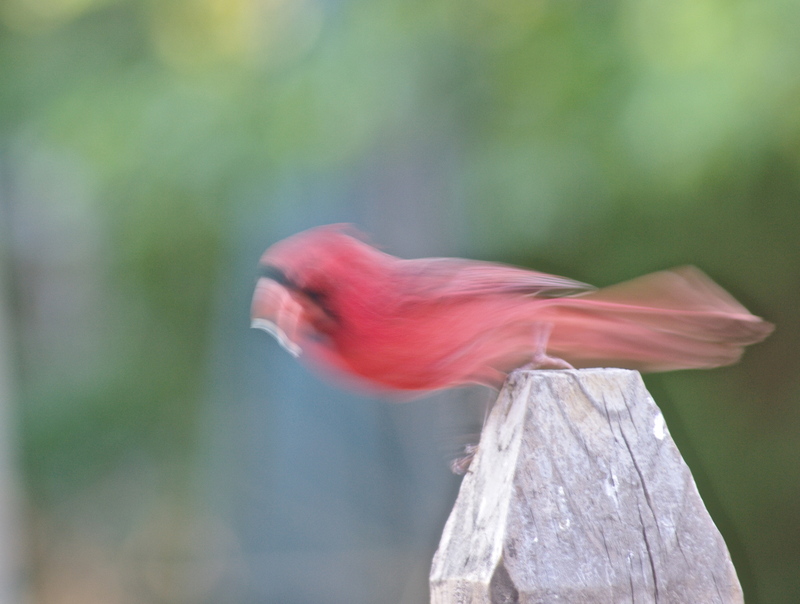 When this week’s topic came up, I thought, “Sure, the way you show movement is with blurring.” But here all of your birds are basically in focus and yet you still have the sense of motion. I really like that. Thanks CJ. No one has picked up on that until now. It is a more subtle way of showing movement. Glad you liked it. And thanks too, for stopping by. Have a great week!